It is our mission to minimize maintenance efforts, reduce support costs and achieve superior operator and customer experience across all interaction channels while ensuring the provision of excellent technical support and flawless operation. 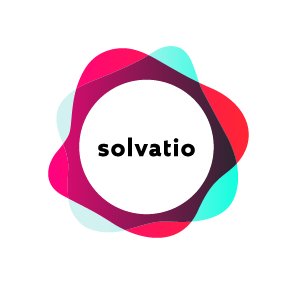 solvatio® X is 20 years of real life experience in troubleshooting, incident resolution and fulfillment automation powered by AI – as a full service platform, as a plugin or via Chat, Voice or App interface. AI in solvatio® X enables you to use machine learning algorithms for diagnosis and optimization and helps to reduce manual efforts in the maintenance of technical systems, constantly adding value on several levels throughout your service operations. solvatio® X is a sophisticated expert system for automated diagnosis, AI based solution finding and automated incident resolution in technical environments, whether you want to optimize your technical in-house support using the full platform or offer selected services on a variety of channels. Single Source – a centralized knowledge base for easy maintenance. 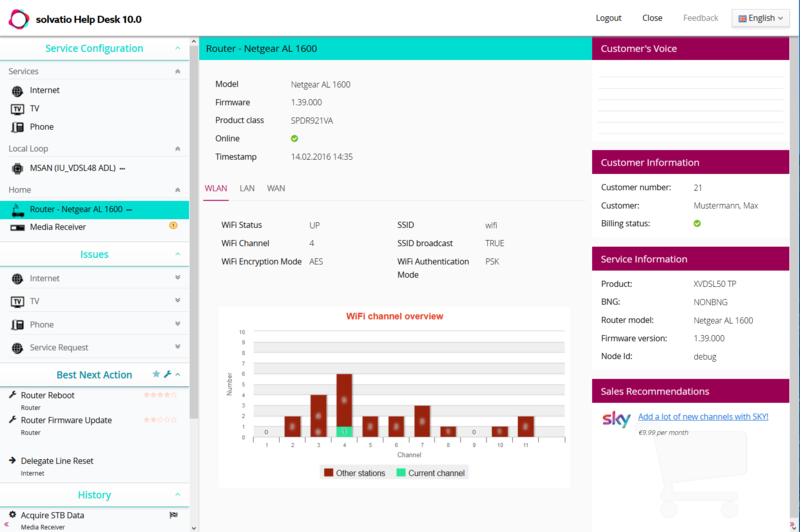 Omni-Channel – all channels in one tool. Artificial Intelligence – used to add real value. Time 2 Market Boost – through predefined concepts. scaleable – for 1 or 1000 services, repairs, tests or actions. Integrable – add automation and AI to existing software tools. solvatio® X effortlessly orchestrates internal and external Data and offers qualified diagnosis in technical service environments. Using internal or external machine learning algorithms, solvatio® X offers data driven incident resolution with minimal effort. Available solutions can be automatically applied, guaranteeing fast and reliable incident resolution without manual handling effort. Enhance existing software and service tools like Salesforce, ZendDesk or LivePerson with automation or AI based troubleshooting and add value for your customers and call agents, saving time and money on both fronts. Start with a small flow or a single service channel and expand AI and automation into every aspect of your service – solvatio® X guarantees consistent minimal effort along with full scalability. The full solvatio® X platform is a demand-driven service solution for agents and technicians at the same time. Easy to use, but widely customizable user interfaces boost the efficiency of your service through the use of automation and artificial intelligence. WIDELY AVAILABLE & EASILY INTEGRATED. solvatio® X is a 360° service solution and modular system under the same roof. Whether you are looking for a main service desk for your technical support or just the possibility to add AI functionality and value to your systems and communication channels, solvatio® X offers a AI based automation and troubleshooting in a variety of frontends. Self Service – AI and automation for Web or App. Chat & Voice – End2End interfaces for Self Service. Plug-In – integrated in your existing CRM / Service Desk. Helpdesk – single UI for your agents. Field Service – on site troubleshooting. Bot – single action automation flows. IVR – qualified and AI based triage. Are you looking to enhance the efficiency and quality of your technical customer service through artificial intelligence and automation? Get in touch with us to find out more about our solutions, our know-how and your potential to add value through the use of AI – we’re happy to chat about what we do. Diagnosis – with more than 20 years of experience. Troubleshooting – more than 60 million cases per year. Know-How – your project in the hands of pros. Artificial Intelligence – experience to add value.